With 40 theaters that attract over 13 million people each year, Broadway is easily the most popular and prestigious echelon of theater in North America. Though common slang may indicate that Broadway is simply a term for theatrical productions, it actually only applies to the theaters in New York City that are capable of seating at least 500 individuals. All of the theaters that make the grade are located in Manhattan's Theater District, with the Vivian Beaumont Theater at Lincoln Center being the sole Broadway theater outside the district. Believe it or not, theater in New York is old enough to have had a period of inactivity due to the outbreak of the Revolutionary War. Perhaps the first-known example of regular performances was Lewis Hallam's group of twelve British actors who began performing operas and Shakespeare plays in 1753. The beginnings of Broadway in a state that would be recognizable today, however, has distinct origins in the New York State Legislature's overhaul of Manhattan. The proposal, known as the Commissioners' Plan of 1811, effectively created the gird structure that Manhattan is known for by outlining its streets and avenues. Notably absent from the proposal was Broadway, ensuring that its slanted street would be preserved despite a suffocation of straight lines and form from surrounding avenues. The theater shift from downtown to midtown came about in the mid-nineteenth century, followed by a true center in Times Square forming in the 1920s and 1930s with the arrival of Broadway-class theaters. By this point, theaters were presenting a tremendous range of shows, as musicals had been gaining steam since The Black Crook, the first true example of musical theater, debuted in 1866. Today, the vast majority of Broadway shows are classified as musical theater. See a whole new world in Disney’s Aladdin, as the shows takes a magic carpet ride onto the Broadway stage with stunning special effects and both new songs and classic tunes. See the desert city of Agrabah, where the kind-hearted Aladdin makes due as a "street rat" in the city marketplace where he strikes up a friendship with the alluring Jasmine, who is the Sultan’s daughter. Of course, things take a turn toward the magical after finding a magic lamp and freeing Genie from the Cave of Wonders. This New York show you can see for less with tickets from ShowTickets.com delightfully shows how Matilda and her fellow students persevere in a story about integrity, honesty and knowledge. 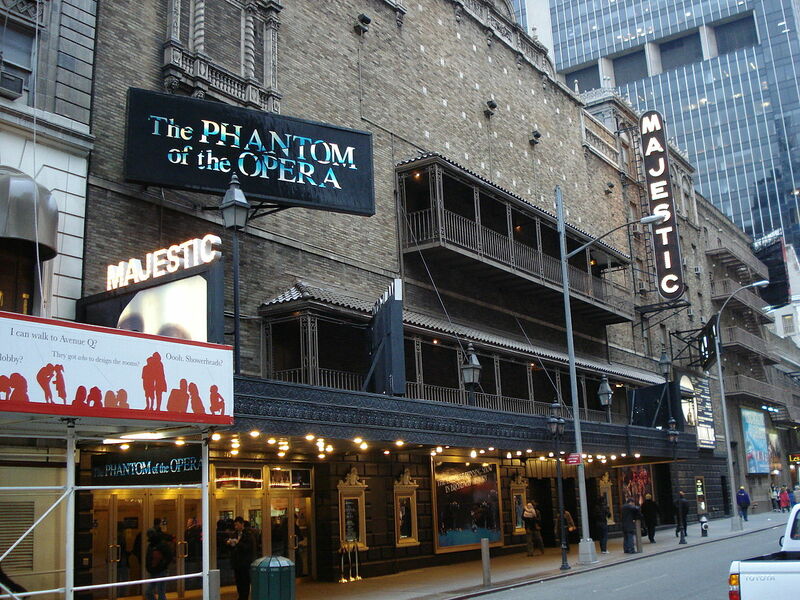 As Broadway's longest-running show in its history, The Phantom of the Opera has been capturing audiences since its NYC arrival in 1988. The play is based on the 1910 French novel of the same name and tells the story of a disfigured “Phantom” who hides beneath the Paris Opera House despite an infrangible desire for his protege, Christine. The show has been running exclusively at the Majestic Theatre for 28 years, accounting for well over 11,000 performances. As the longest-running Disney Theatrical Productions show in history, The Lion King has been a musical staple since 1998. With a score by Hans Zimmer and music by Elton John, this adaptation of the beloved 1994 film won Best Musical at the Tony Awards and has been the highest-grossing production in history. Though it deals with some fairly heavy themes, the production is perfectly suited for children and adults alike, providing one of the more family-friendly Broadway environments. Though it ran at the New Amsterdam Theater for nearly a decade, it moved to the Minskoff Theatre in 2006 and has been playing there ever since. Rock Star-wannabe Dewey Finn has decided to forge his roommate’s substitute teaching identity in order to make a few extra bucks. But when the idea hits him to morph this prestigious, preparatory elementary school classroom into a haven for molding his own band of child rock stars, hilarity and chaos ensue. Tossing out the school curriculum, Dewey convinces his classroom instead to learn the guitar-shredding, bass-slapping and mind-blowing skills of a rock band – all in the hopes that this new group may actually win the city’s famed Battle of the Bands competition. Having earned six Tony Awards, two Oliver Awards, and a Grammy, it is no wonder that Chicago has become the longest-running American show in Broadway history. Audiences are catapulted into 1920s Chicago, seen through the eyes of murderers Velma Kelly and Roxie Hart, and set firmly in the world of vaudeville and the city's seedy underbelly. 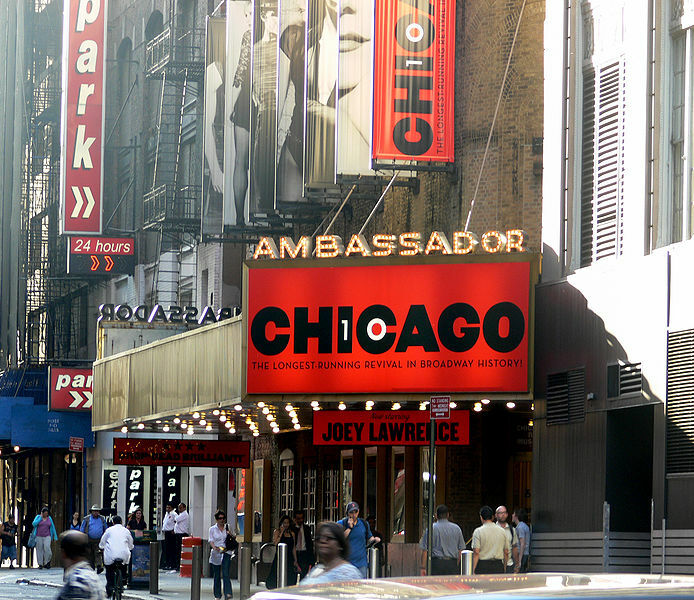 The current Broadway version of the musical has been running at the Ambassador Theatre since 2003. Making its Broadway debut in 2003, Wicked was instantly a smash hit and has become one of the most popular shows of the 21st century. The musical is based off the 1995 novel by Gregory Maguire and provides a twist on the Land of Oz by centering on the perspective of the witches. The Gershwin Theatre has been the home of the production since its debut. The story of Jean Valjean's struggle for freedom after being imprisoned for 19 years for stealing a loaf of bread is the central focus of Les Miserables. The musical, set in 19th-century France, is based on Victor Hugo's 1862 novel and has been immortalized in a variety of theater productions and films. The current Broadway production is housed at the Imperial Theatre, and is scheduled to close its 2 ½ year run on September 4th, 2016. 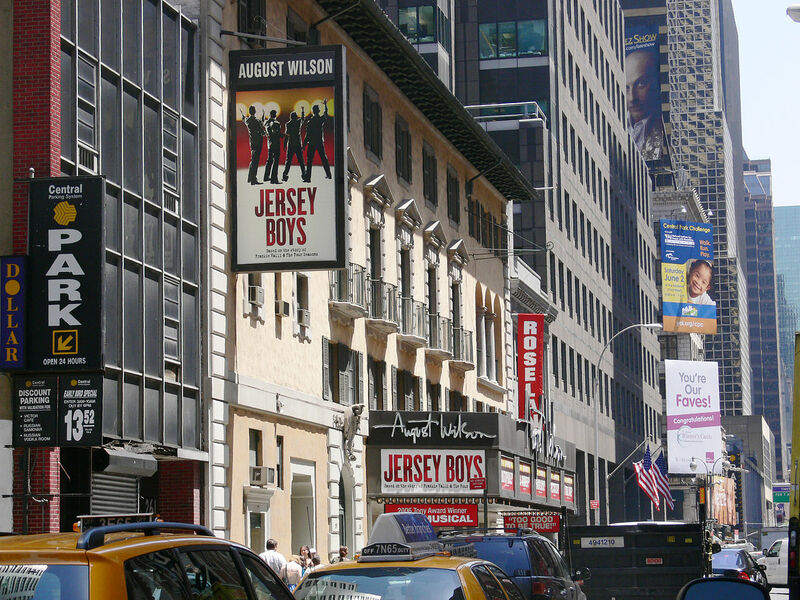 A jukebox musical that takes audiences through the highs and lows of The Four Seasons, Jersey Boys has been a Broadway staple for over a decade. With four Tony Awards to its credit and featuring the iconic music of the 60s rock group, the musical has performed well over 4,000 shows at the August Wilson Theatre, where it remains on a daily schedule. With its cast recording becoming the highest-charting Broadway album in over 40 years, The Book of Mormon set Broadway into a frenzy upon its debut in 2011. Developed by Robert Lopez and South Park creators, Trey Parker and Matt Stone, the musical tells the comedic tale of misguided missionaries on a quest to convert villagers in Uganda. The musical runs at the Eugene O'Neill Theatre. Check Back Soon for the 2017 Christmas Spectacular Schedule! The Christmas Spectacular Starring Radio City Rockettes has been kicking off the holiday season with special effects, dance numbers, gorgeous costumes and creative staging since 1933. Every year, more than one million people enter Radio City Music Hall to see this unique show and participate in a classic New York tradition. Though certain theaters and shows operate on unique basis, most productions correlate with fairly traditional schedules. Typically, shows run Tuesdays through Sundays, with evening performances from Tuesdays through Saturdays and matinees on Wednesdays and Sundays. Occasionally, a show will cut its Wednesday matinee in favor of a Sunday evening performance, so it's important to look up the schedule of each individual show that you are interested in. A plethora of online sources provide ticket sales months in advance of performances. Depending on the show, tickets can sell out far ahead of time, so it's highly advised to have tickets in advance. If you are already in New York City, most theaters have their own box offices that sell tickets, which often will save you a bit of money on online surcharges and convenience fees. ShowTickets.com offers great prices on all of the hottest shows on Broadway, and their easy to use system makes purchasing tickets in advance hassle-free in addition to being a great deal! If you're already in the city, you can head over to Theatre Development Fund's TKTS kiosk in Times Square. The location sells daily tickets to available Broadway shows at steep discounts, making for a great way to see popular shows on a budget. Additionally, shows during the week tend to be cheaper than prime shows on Friday, Saturday, and Sunday. Looking to Plan a Day Trip to New York City? 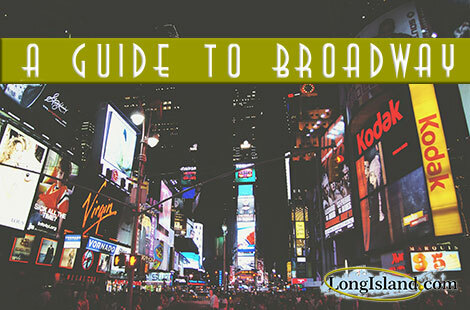 Check Out Our NYC Visitor's Guide to Help You Make The Most of Your Adventure!